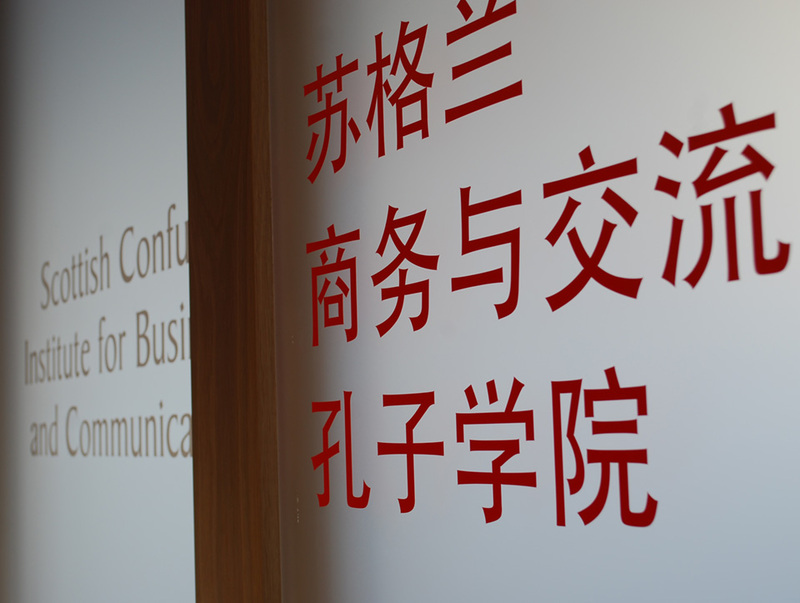 The Confucius Institute for Business and Communication is an international collaboration between Heriot-Watt University in Edinburgh and China’s Tianjin University. This partnership was established to promote economic, educational and cultural links between Scotland and China. Scotland’s First Minister announced the new institution in 2014 and we were appointed shortly after to design this prestigious brand identity. Our creative approach to the brief was to design a visual metaphor for the links created by business and communication between people, cities and countries. This took the form of a red ribbon that would be used as a consistent brand element. Together with this creative concept we designed a duel language logo in both English and simplified Chinese. 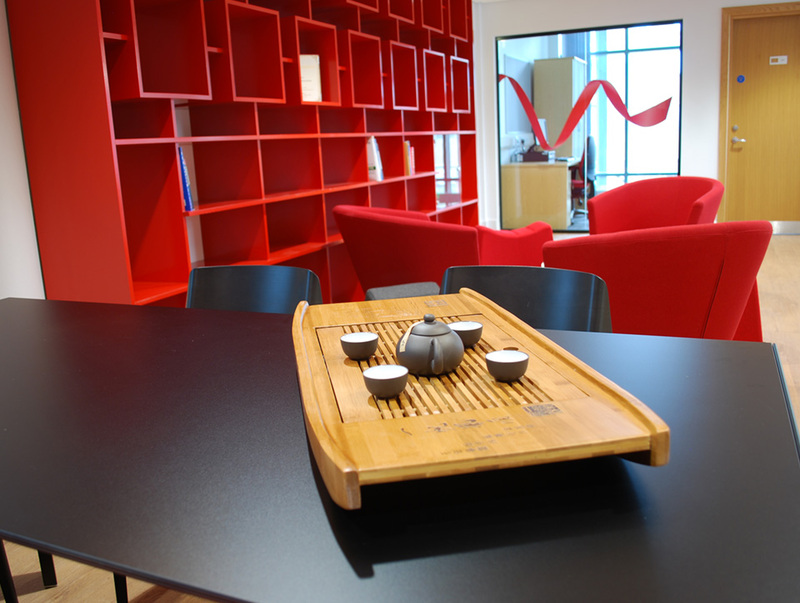 The logo succinctly captures the purpose of the institute and communicates its role as an interface between Scotland and China. In support of the logo, we developed extensive brand guidelines to ensure that the new brand was used consistently throughout all of the Institutes marketing activity. Working with the University’s interior designers we advised on the application of the brand throughout the interior of the Institute and designed wayfinder signage that was installed across the university campus. Leading up to the official opening of the Institute we worked closely with Heriot-Watt University’s marketing team to implement the brand across a suite of marketing material. 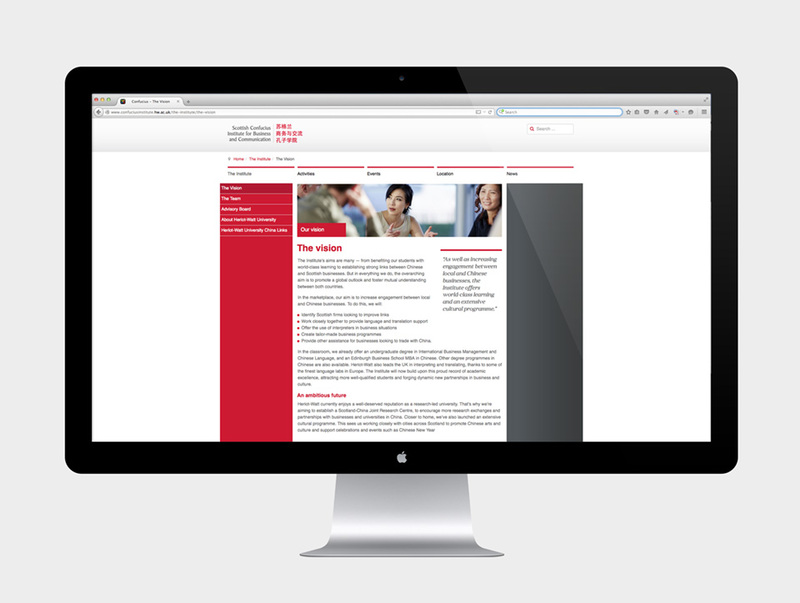 This included the design of a new website, posters, leaflets and banners.